ENERGIZE YOUR BUSINESS! Earn a 6 figure income doing what you love! 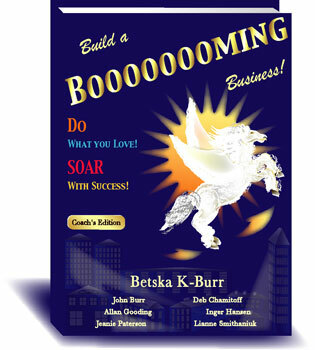 7 successful Coaches combine over 150 years of business experience to share magical ways to build and maintain your business as a coach. You will develop a comprehensive Marketing Plan using CLI's Miracle Marketing Process, learn Twelve Ways to build your product revenue, Mega Ways to Promote Your Business, discover your Life Purpose, your behavioural style as a business person, develop your company's Mission, Vision, Values and Goals, Set up your offce, How to Care for the Coach and much more. A must read for new and seasoned Coaches. 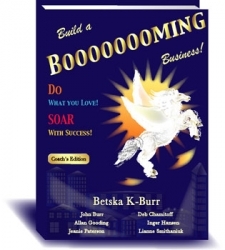 Each chapter offers it?s own special gift and inspiration .... Chapter 13 and the entire book is a great blend of Heart, Spirit and Business savvy.